We were expecting to see Google announce Google Fuchsia, or Google Andromeda – a fusion of its Chrome and Android operating systems (OS) – back in October 2017. That announcement never happened. 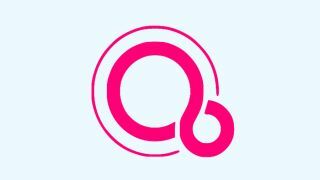 What will Google Fuchsia look like, though? Well, there have been some Chromebooks, along with the Google Pixelbook, which can run both Android apps from the Google Play Store and even an early build of Fuchsia itself – which is also rumored to run Android apps. We think google Fuchsia, if and when it finally sees the light of day, will be the penultimate Google operating system across all kinds of devices. Nobody knows what Google Fuchsia will look like in the end. There’s very little in the way of hard information, and what is out there is pretty vague. However, we do know that Google Fuchsia revolves around the idea of being able to do whatever you want from whatever device you have handy. We can even see hints of this approach in Google’s recent endeavors, like bringing Android Messages and a VR video editor to a broad range of hardware. In fact, the maligned Google Pixel Slate might actually provide a hint at what the future of Google Fuchsia will be. Even if the tablet never runs the nascent OS, and doesn’t give a clue about the release date, it does provide some kind of marriage between Chrome OS and a mobile OS. Google changed the UI of Chrome OS to be more palatable on tablet – bringing it closer to a unified OS across different families of devices. Whether it relates to Fuchsia remains to be seen, but we look at it like a step in the right direction. So, regardless of what the final product is, or whether or not Google Fuchsia ever makes it to the public, be sure to keep this page bookmarked, as we’ll update it with any new information comes our way. So far, more is known about the mobile version of Fuchsia than the laptop one, but ArsTechnica was recently able to get Fuchsia running on a Google Pixelbook in an awfully early state. And, it looks like both versions should be able to run Android apps, much like many Chromebooks in 2019. So, backwards compatibility looks to be something that early Fuchsia adopters can look forward to. Today, all the speculation points to Google Fuchsia running within the next three years just on smart home devices, with a full public release coming within the next five years. Still, that seems to be an extremely shaky rumor – we’d be surprised if we saw it release before 2024 (or actual androids), if it ever actually comes out. Will this eventually mean the end of Android and Chrome? In name, most likely, but their principles will almost certainly live on – there's too much solid foundation not to build on top of them. Just look at the Material design language found throughout these early builds of either version of Fuchsia.